Last Sunday I spent a few hours composing some parts for Christmas music for my violin students. I like for them to have one song they all can play together, from my foam violinists to my advanced students. We play Christmas music every year as part of our Nursing Home Tour, and we only play in groups. I used my favorite composition app “NOTION” to compose the parts, which is available from the App store for ipad. I paid 14.99 for the app and I think it was a bargain! I have highly recommended this app in the past! This is an honest and simple review, I have no ties to the company. 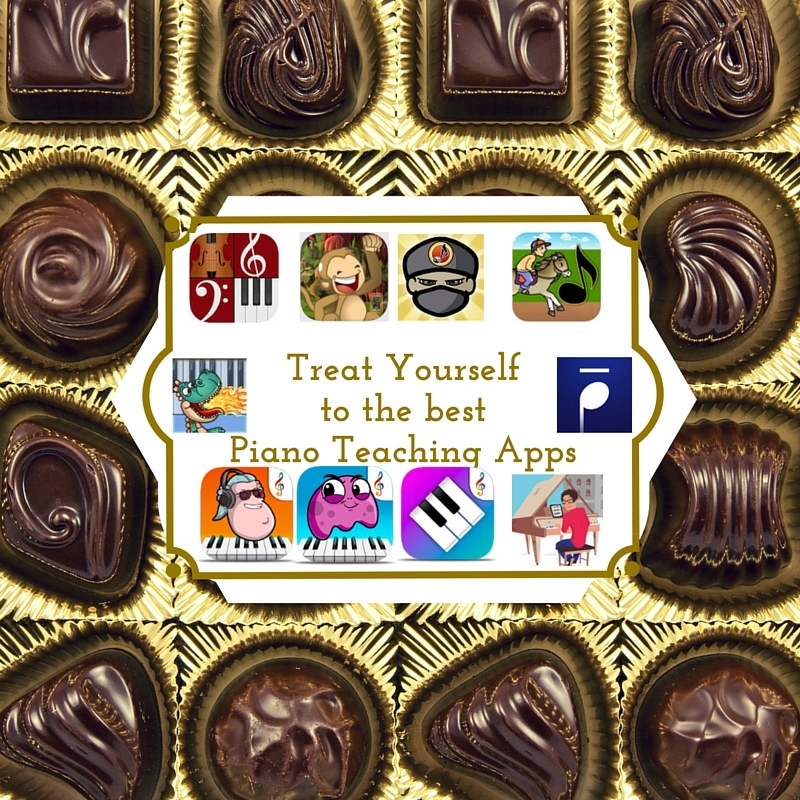 I recently was part of a Piano Teachers using Technology Webinar created by Tracy Selle. Notion is a notation editor and playback tool for your iPad, iPhone and iPod Touch, (any iOS8 compatible device) giving you the convenience of an easy-to-use music creation tool right at your fingertips. An incredible composition app for any music lover, Notion gives you the ability to compose, edit, and playback scores using real audio samples performed by The London Symphony Orchestra recorded at Abbey Road Studios. You can capture your musical ideas anytime, and take this helpful application anywhere. With a user-friendly interface and simple interactive piano keyboard, fretboard, and drum pad; Notion makes it easy to get started composing your music. And, with Notion’s abundance of advanced functions you can take your most basic ideas to an entirely new level right on your iOS device. In addition to the notation editor you can also hear your music performed with real audio samples, giving you the most realistic playback possible. Notion comes bundled with piano and orchestral samples recorded by The London Symphony Orchestra at Abbey Road Studios as well as popular instruments such as guitar, bass, and much more. The initial app download contains piano – you can then manage which of the bundled sounds to have on your device, or keep in the cloud, just tap on Sounds. Begin your project by using the simple score setup tool or choose a template. You can also open MusicXML, Guitar Pro, and MIDI files. You can continue to alter your score and playback using a palette full of articulations, expressions, and dynamics. Or create the perfect balance using the full-featured multi-track mixer with effects. Once you are happy with your creation you can share your work by emailing the Notion file. Or you can send MIDI or MusicXML files, or send an audio or PDF file. You can sync your scores across devices, and with Notion for Windows and Mac, by using iCloud and Dropbox. – Orchestral samples by The London Symphony Orchestra recorded at Abbey Road Studios. – Record real-time MIDI input into your score. – Audition Mode: Use the on-screen virtual instruments to hear sounds before entering them into your score. Unfortunately for me timing wise, a few days after I spent hours composing with Notion, they released a FANTASTIC add on with their writing app. The thing I love about this handwriting add on, which costs only $7.99 is the ease of use. Grab a stylus, and suddenly composing on your ipad is as easy as composing with pencil and paper! I actually just wrote out some extra harmonies for some brand new violin students while I sat in my backyard (instead of my basement where my studio and computer are located) in 1/3 of the time it would usually take! The ability to add bowings with ease as well is a huge bonus for someone composing for a stringed instrument! I look forward to buying an ipad mini in the near future as well; I’m enamored with the idea of slipping a small device in my purse and composing on the go…while I wait to pickup my child, ect. I love efficiency! As for a stylus, I was so excited to try this app out, I went straight to best buy and bought their basic 9.99 model and have had no issues with it, but fellow piano teacher Linda Christensen recommends Jot Pro with the option to purchase replacement tips. I plan to order one of these as soon as I loose my current stylus, which should be any moment now…. I hope you give this app a try with the fun handwriting add on and let me know what you think!